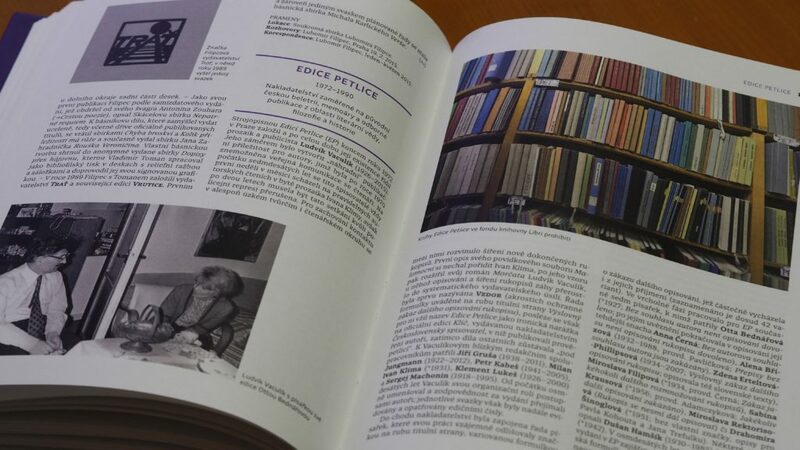 The volume offers the currently most comprehensive collection of information on Czech literary samizdat from era of the communist regime which in 1948–1989 consistently its political as well as cultural opponents. Writers whose work had been rejected by official publishing houses for political reasons usually had to make do with type writer that allowed them to disseminate literature about ten copies at time. In the era known as „normalisation“, in 1970–1989, samizdat became the refuge of even the most significant and most popular writers of the previous periods. Over time, they were joined by talented authors from the younger generations who refused to feign loyalty to the communist ideology. In the introductory chapter, the authors provide a brief outline of the history of samizdat literature in the Czech lands and describe the practical aspects of its dissemination. They discuss the legal and economic circumstances of samizdat, the issues of distributing samizdat literature as well as the contacts of samizdat publishers with Czech exile and international collaborators. The main part of the publication, however, is dedicated to detailed entries on individual publishing operations, magazines and some non-periodical almanacs. The selection of entries is not confined to the “central” samizdat hubs of cultural dissent, represented by Ludvík Vaculík (Edice Petlice), Václav Havel (Edice Expedice) and other well-known and respected figures. The authors understand samizdat as one of the manifestations of the alternative culture of the time and therefore follow its development in all regions of the Czech Republic (even though most of these efforts did not play any major role in Czech literary history of the post-war period). The encyclopaedia covers also samizdat editions with very narrow specialisation, generation almanacs, magazines of specific subcultures (”tramping“ samizdat) and the creative output of people with specific literary interests (sci-fi fanzines) as well as typewritten manuscripts shared only within small groups of close friends. This approach to samizdat allows the authors to capture not only the artistic dimension, but also the social function of samizdat as one of the forms of anti-communist resistance.